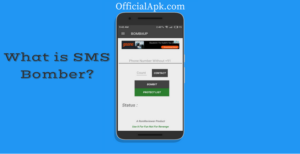 Are you looking for SMS bomber apk latest version? Do you want to bomb someone’s phone with a lot of annoying messages? Well if the answer is yes then read on. I will explain everything about SMS Bomber apk and give you a short tutorial on How to use SMS Bomber. Well, the app was developed by Udit Karode and it is one of the best SMS bomber applications available on the internet. Of course, there are so many other SMS bomber applications exist but this one is extraordinary. In this article, you will get to know what is SMS bomber application and what are the top features of it. 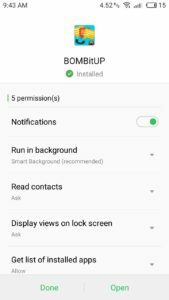 2.1 How to Install SMS Bomber on Android? 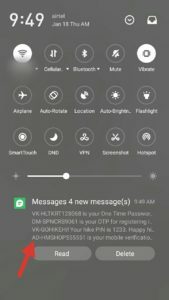 2.2 How to Use SMS Bomber Latest Versi0n? In simple words, it is an application that sends a lot of messages to a single phone number. The app works exactly like the traditional SMS service. It duplicates the same text and sends to a phone number multiple times and often people use the SMS bomber apk for fun. Now that you know about the app let’s read step by step guide to download SMS Bomber apk. Well, the app comes with lots of cool features. Some these features are mentioned below. Have a look at it. The app works absolutely fine even while connecting to a poor internet connection. It also can be used with a 2G network without facing any trouble. The best thing about the SMS bomber app is that it is completely secure and safe. The app will not reveal your identity to the victim in a direct way. However, an IT professional will be easily able to track your information. SMS Bomber is data efficient it will not burn your mobile date too much. The ads on the SMS bomber app are placed nicely and there are no pop-ups. 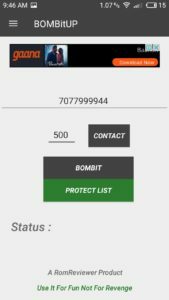 SMS bomber for Android is completely free to use. It does not lag and it is super easy to do multitasking while keeping the app open. It has anti SMS Bomber feature which protects your number against the bombing. 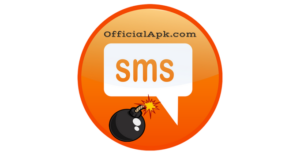 At the very first you have to download SMS bomber apk for Android. So in order to download tap on the following button. After visiting the web page click on the download button and your download will start. We regularly check the download links and replace them if it’s giving an error. By chance, if the link is not working please comment below and report it. Here is some information regarding SMS bombing app. How to Install SMS Bomber on Android? Now you have got the SMS Bomber apk it’s time to install it on your Android device. 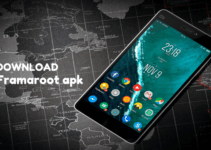 The app doesn’t require root access for running on Android. Let’s install the app on your smartphone and bomb someone. 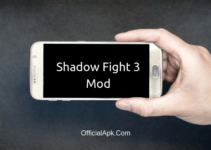 First of all download SMS Bomber latest version from above links. If any link isn’t working please tell us in the comments section we will fix it. Now navigate to the file manager and locate the application. After that tap on the apk file. You can find it in the download folder of internal storage if you have downloaded it with Chrome browser. If you have downloaded it with UC browser then you can get it in UC downloads folder. Now simply click on the install button in the lower right corner. 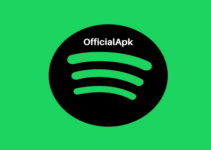 Wait for few seconds and the app will be installed on your Android device. How to Use SMS Bomber Latest Versi0n? Once you are done installing the application you are good to go to the next few steps. So now that you have the application installed on your smartphone it is the time to know How to use message Bomber app. Here are all the steps that you have to follow. After installing the app open it by tapping on the App Icon. Here you will get an option to enter a phone number. Make sure you are adding an Indian or USA phone number as it will only work with Indian and USA phone numbers. You have to avoid adding the country code. In simple words do not add “+91” in front of the phone number. Once you are done entering the phone number simply tap on the Bombit button. This will start the operation and send a bunch of texts to the victim number. However now that you have started the operation, the next question is that how you will kill it?. Well, it is quite simple, you will get a “Stop-Process” button. Just click on the button and the process will end. Note: If someone is bombing your message box with the SMS bomber app, there is an anti-bombing feature. The feature simply lets you protect your phone number from getting bombed by the app. You can use this app to protect your number from unwanted bombing as well. Just download the app and enter your number and the app will not bomb your message box. With the SMS bomber app, you will be able to send 999 texts at a time. It is super easy to use the application. You will not need much knowledge. 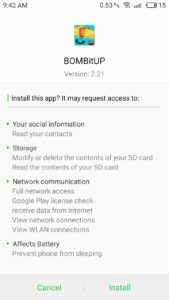 You will not need to root your android smartphone in order to install the SMS bomber application. Someone may bomb your phone number using this app. Well, before start bombing someone’s phone number it is advisable not to try SMS Bomber apk on unknown or random phone numbers. As it will lead you to face some legal issues and someone may file a case against you. However, if you are planning to bomb your friends or family member’s number then it is completely fine. So that was all for the SMS bomber apk. If you have any questions then you can comment below. Also, this post will be updated time to time, if you need the SMS bomber latest version later in the future do check out this webpage. Can I check who r sending me messages as a bomber? Can I find out it? I bomb my friends 😭😭😭😭…Am not in India nor USA. not working please update it.